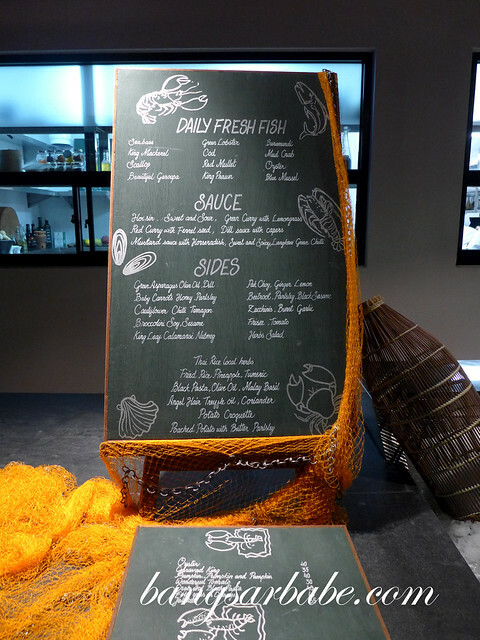 Jala at The Andaman boasts an exciting menu of Malay and Western flavours, with a fresh seafood display for you to choose from. 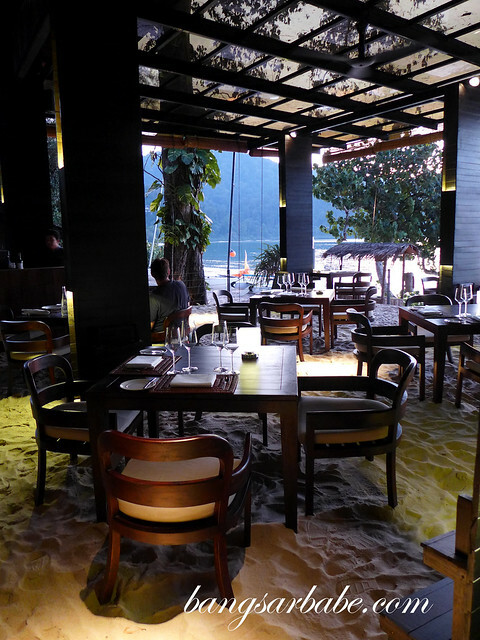 The restaurant offers the best of both worlds, nestled between the tropical rainforest and the Andaman Sea. Needless to say, the sunset was beautiful that evening and the gentle breeze of the ocean further complemented my dining experience. Dress code is resort casual so skip the stilettos and go with flip flops, unless you want your heels to sink into the soft sand. 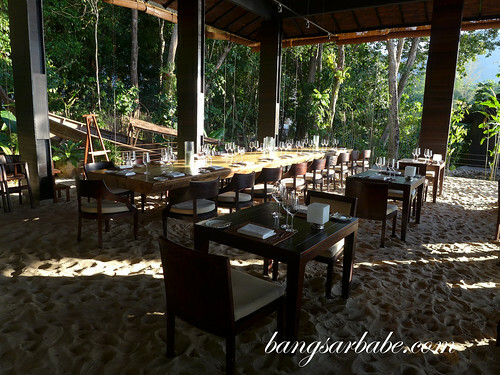 One of Jala’s unique selling points is its sand floor that allows guests to feel as though they are dining on the beach. Jala is headed by Chef de Cuisine, Rene Knudsen, whose has a passion for nature and great respect for the local community. An assortment of sambal hummus, red bell pepper and cucumber raita was served, along with some freshly baked buns. 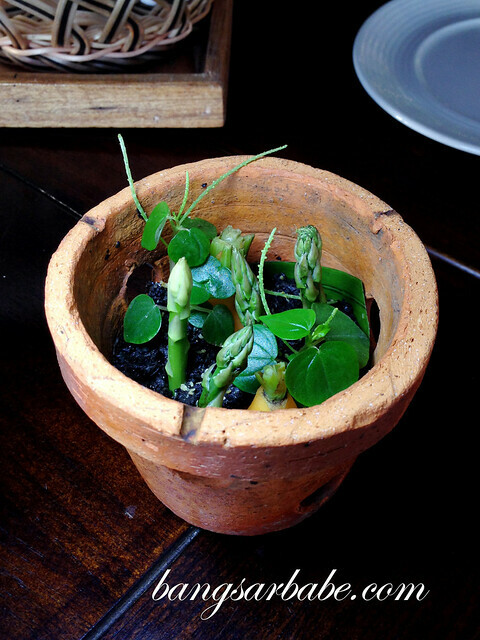 Soon after, Chef Rene brought out a potted plant and placed it in front of me. “Such a pretty table display,” I thought to myself. I must have looked quite horrified when he asked me to eat it because he grinned at my expression. Turns out, everything was edible, except the pot. 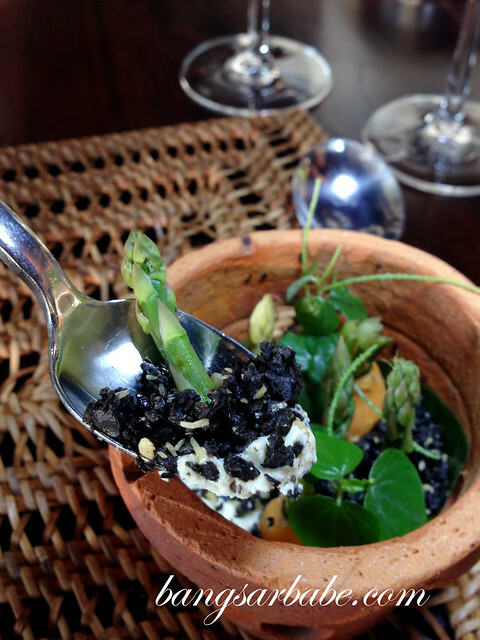 The soil was a combination of black olives, ground anchovies and cream cheese – very delicious when eaten with bread. Jalaksa was pleasant on the eye and in the tummy. This composition of king prawn and seabass fried in Japanese breadcrumb batter, quail egg, cucumber and consommé was as tasty as it looked. The consommé was light bodied and aromatic from the addition of fennel, chili, daun kesum and Malay basil. I was told this was Chef Rene’s version of the local laksa he tried. Jala Restaurant boasts its own salt sommelier, in the form of Richard Veerbeek, also the restaurant manager. Like wines, each salt is different in the way it complements the subtle flavours of dishes. 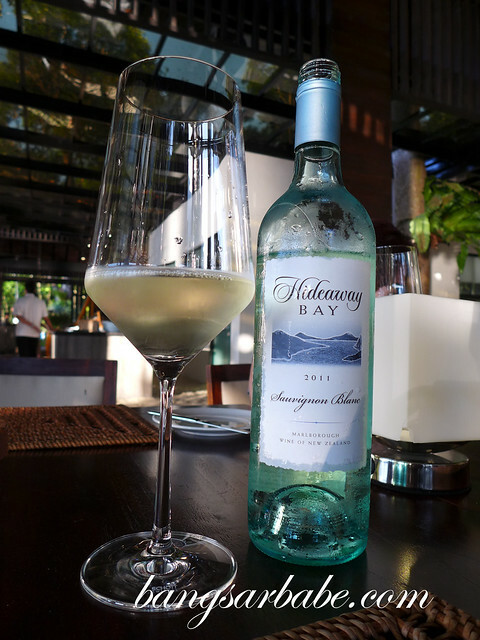 The sommelier’s task is to guide and help guests pair their food with the ideal salt to ensure the perfect outcome of the dish. 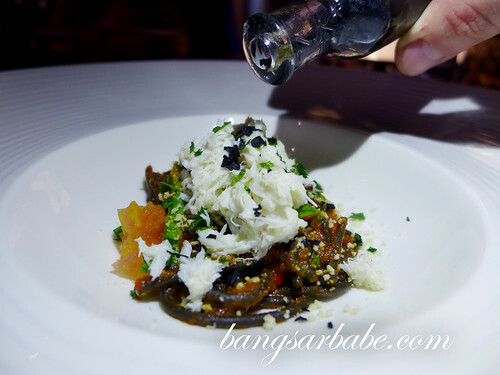 The next dish – crab and black pasta – was paired with Black Cyprus Sea Salt, known for its distinctive taste. 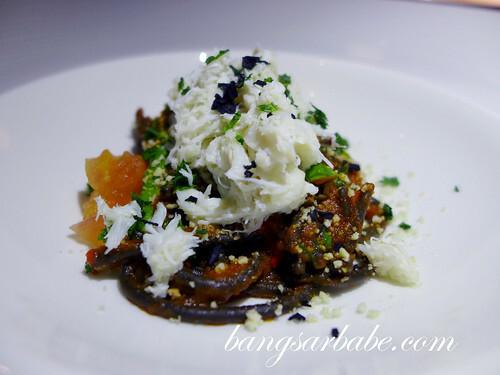 This accentuated the flavour of the dish, without overpowering the natural sweetness of the mud crab. 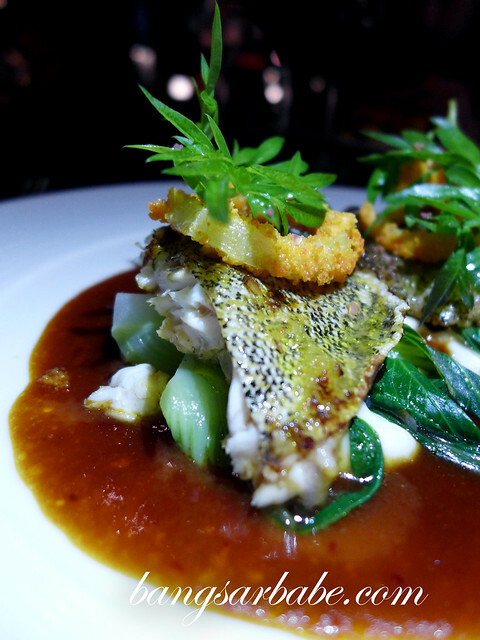 Our main course was a pan seared garoupa with hoisin sauce, cauliflower puree, onion ring and sautéed bok choy – paired with a robust Shiraz Viognier. 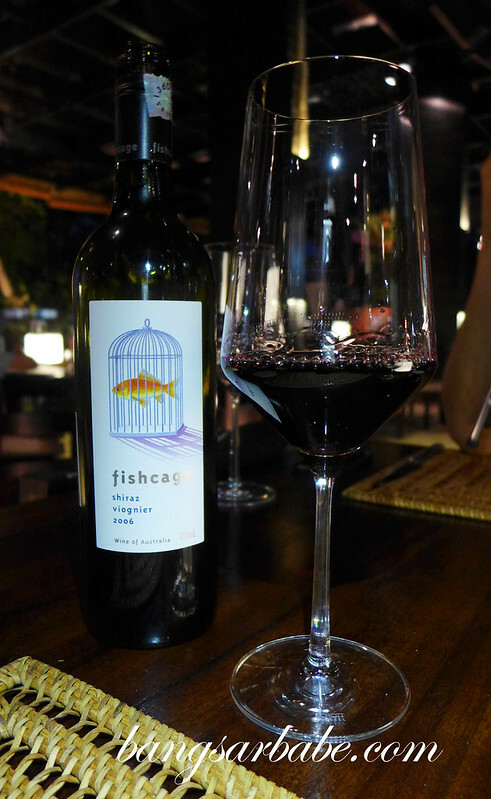 Red wine and seafood pairing can be rewarding if you choose the right red to match your food. In this case, I was rewarded with varying undertones from the spicy wine and sweet hoisin sauce. The caramelisation of the hoisin ensured the garoupa remained crispy around the edges and helped with the umami flavour of the dish. 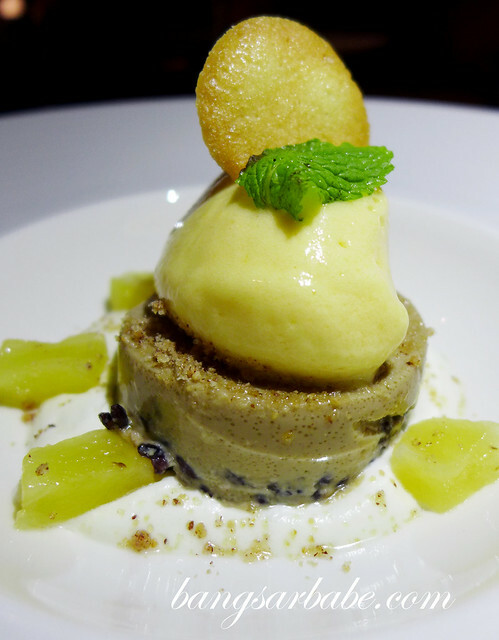 For dessert, I tried the black rice custard pudding with mango sherbet and pickled pineapple with whipping cream. This was paired with a bottle of Sauternes, a sweet French wine. 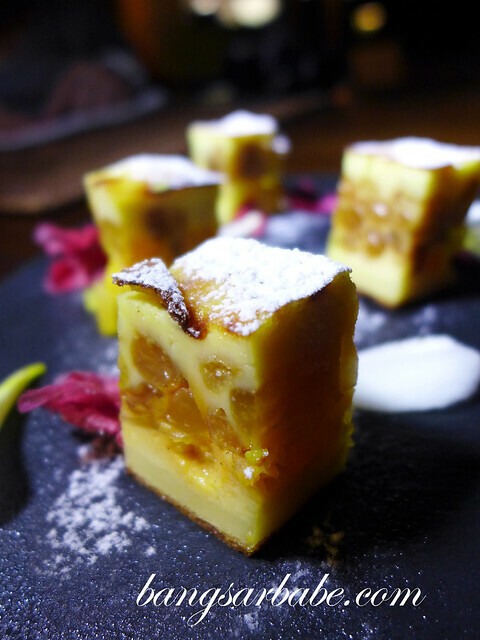 I also tucked into squares of Clafoutis, a baked French dessert of cherries in a flan-like batter. I liked how simple yet tasty this was. 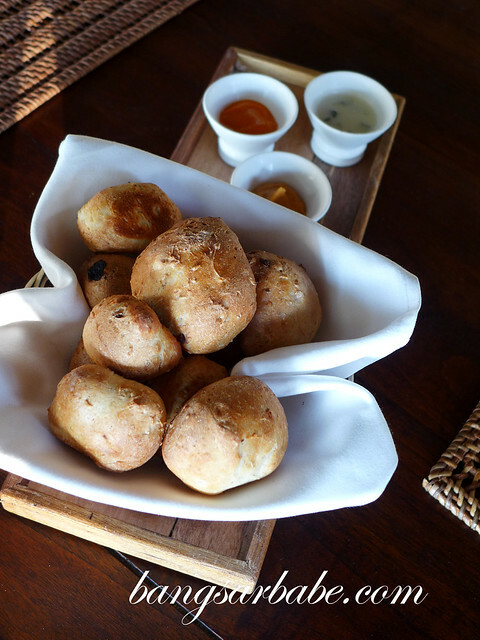 On the whole, my dining experience at Jala was very enjoyable. 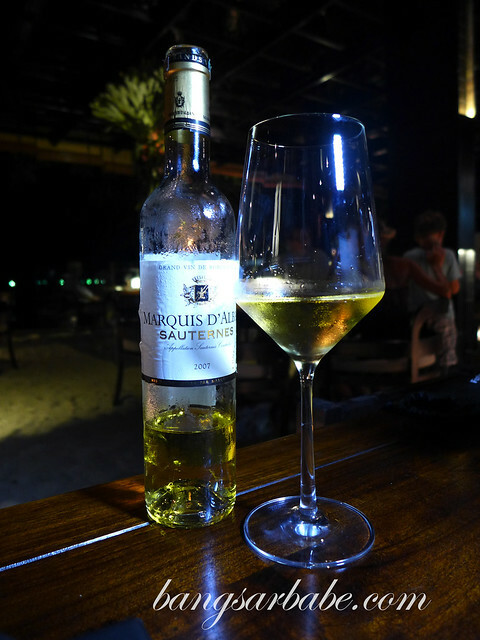 The ambiance was lovely and the seafood was fresh – brought in by the fishermen that evening itself. 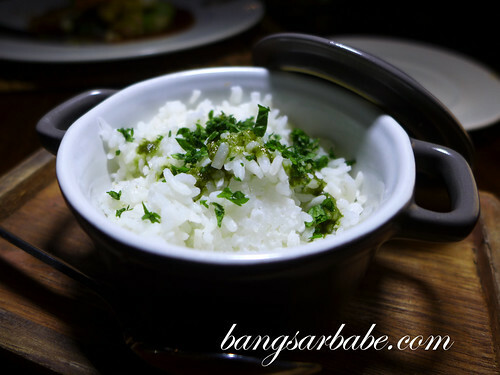 Flavours were kept simple, and dishes were hearty and unpretentious. 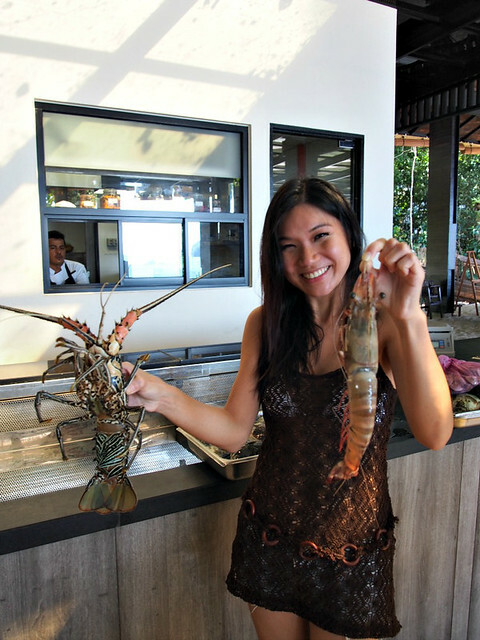 Lobster and a giant prawn! Thank you Chris Wan, for the picture. 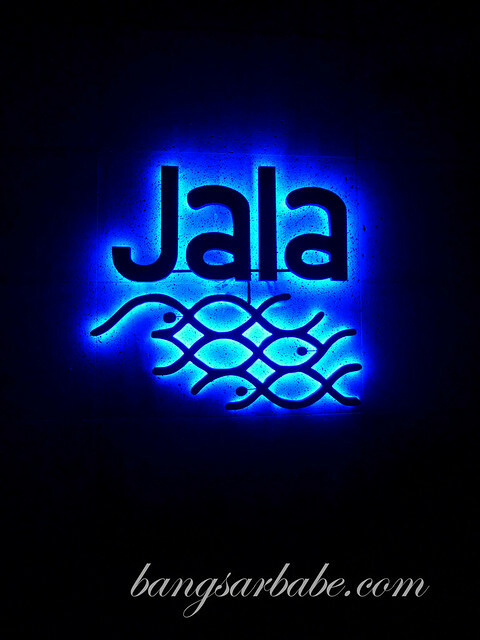 For more information about Jala Restaurant, click here. Also, find out more about The Andaman through the official website here and “Like” The Andaman on Facebook. Verdict: Fresh ingredients that complements a unique dining experience. I’m eyeing on that bed of fresh seafood! Congrats for your great blog. You’re doing a really good job. I have a blog myself but it’s much more simple and amateur. Thank you for the comment. 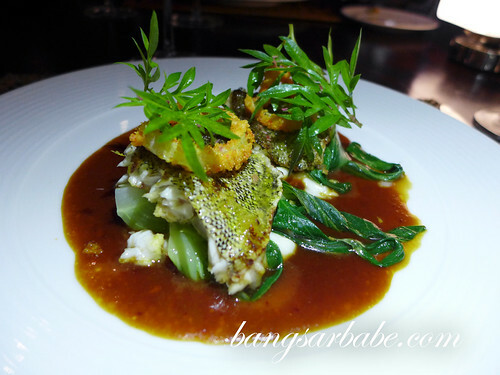 The food is good as the seafood is fresh and the chef is creative in his approach. My scoring of 6.5 usually means the food is worth trying. In Jala’s case, the dishes were good, though not all tickled my fancy. 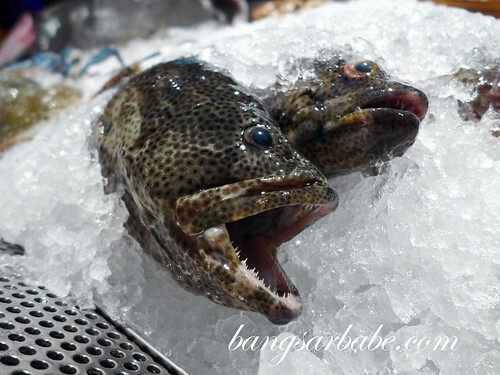 It’s really personal preference, as I usually like seafood done the French way. Rene’s rendition was more local-inspired, which works very well with the guest profiles in the resort. You would enjoy this as it’s a touch of Malaysia in each bite.